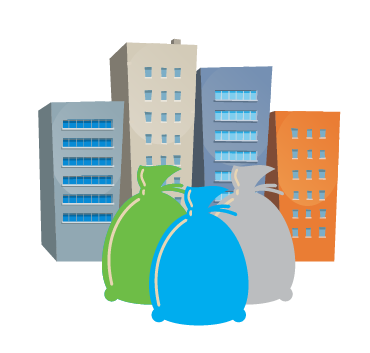 Did you know that 78% of all landfill waste comes from commercial businesses like yours? Every Bit of Waste Sorting Helps! Even if your business or apartment building can only start by sorting one or two types of waste, this can still have a positive impact on cutting down total landfill waste. Download the new Sorting Guide to clearly understand where your waste should go. $15.00 per metric tonne for sorted wood, shingles, concrete, bricks & rubble. For more information or if you are unsure, please contact us before bringing your waste on site.